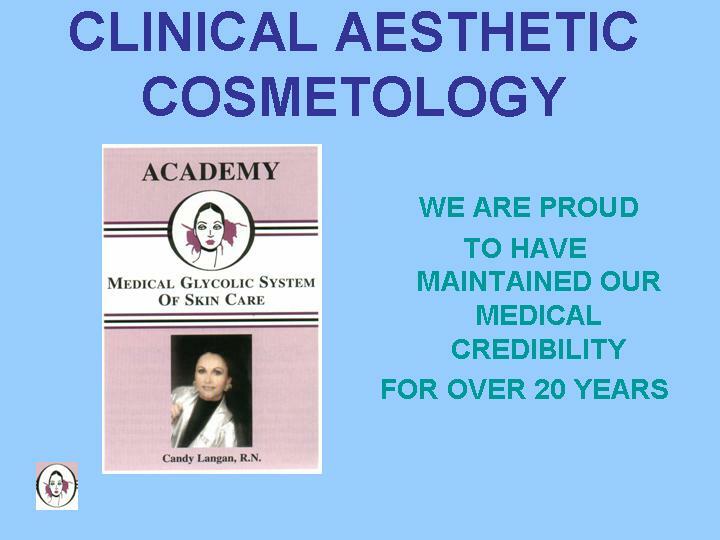 We thank you, our physicians and our happy patients, for your input and your loyalty. 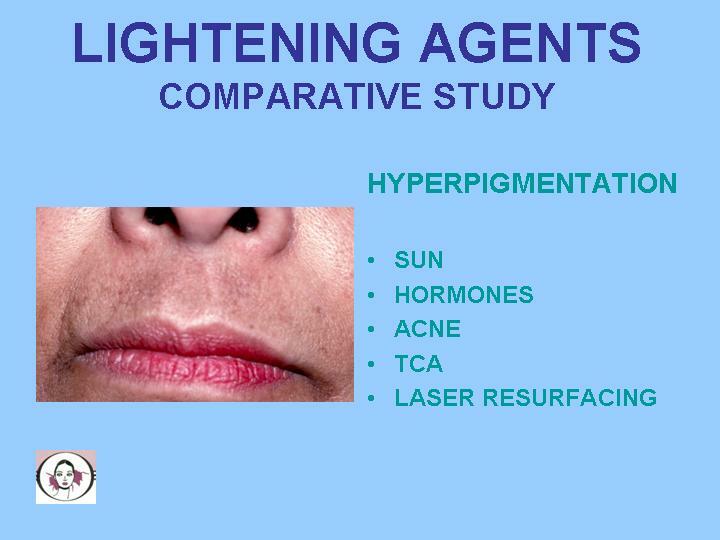 Hyperpigmentation or dark spots on the skin are usually caused by sun exposure, hormones, acne, and even certain medical treatments such as TCA peels and laser resurfacing. Also, many of us are simply genetically predisposed to these disturbing skin discolorations as well. Best treatment is to combine lightening agents with unbuffered (low pH) glycolic acid. My favorite lightening agent is by far Licorice Extract and the best unbuffered, anti-aging product is Academy Glycolic Creme 10. I’m proud to claim, that we have formulated and stabilized the most effective, deeply penetrating skin lightening and anti-aging product available today with our “Academy HydroLight Plus 10”. 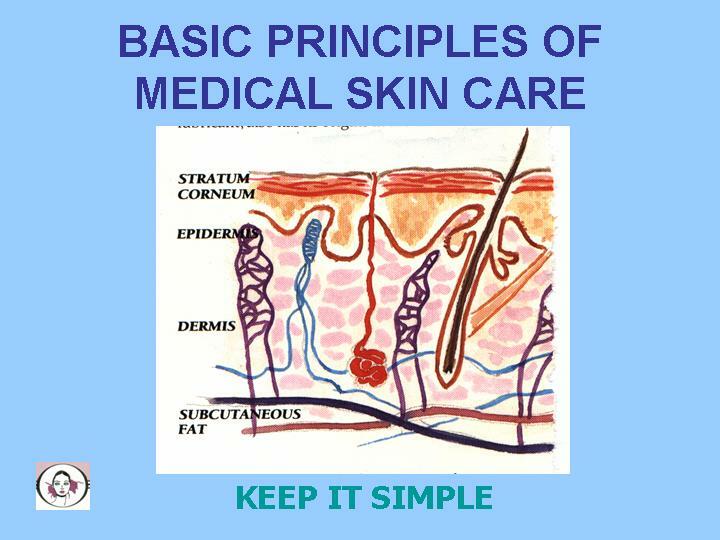 Keep following for more skin care tips and remember I’ll be happy to answer your questions too. 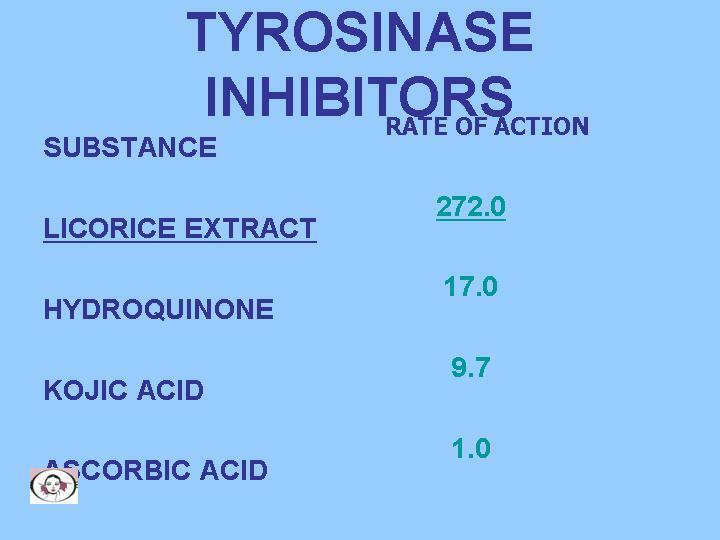 Tyrosinase is the precursor to melanin (pigment). Therefore,in order to prevent and reduce brown spots, we must add substances to our unbuffered Glycolic Acid Creme that will inhibit Tyrosinase. As you can see from the chart above, Licorice extract is the strongest and most effective lightening agent we have available. Imagine if we combine some of these other agents with our Licorice Extract/Glycolic Formulation what we’ll get! Don’t forget to keep following for more skin care tips and remember I’ll be happy to answer your questions too. 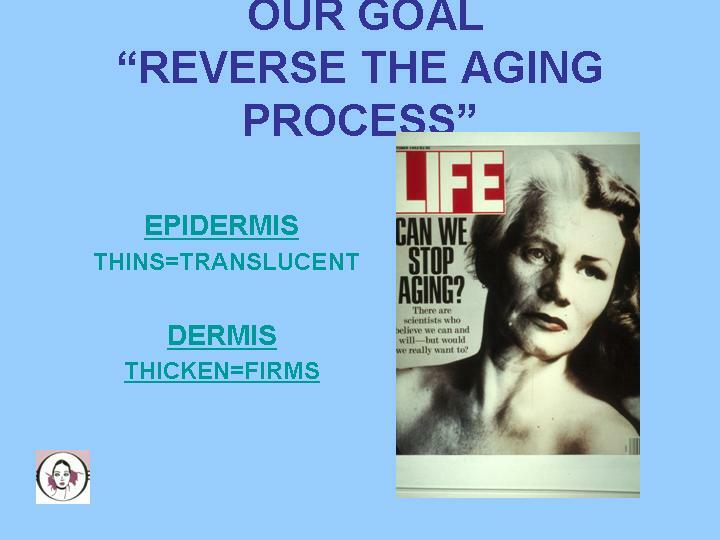 Our Goal is to Reverse the Aging Process of the Skin. We must take that old, thick, dull epidermis and make it thin, translucent and glowing. tightening the skin, thereby preventing facial ptosis, hanging jowls, and turkey necks. honestly and ethically slow down and even reverse some this aging process?